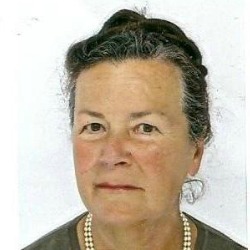 Edith Archambault is Emeritus Professor at the University of Paris 1 Pantheon-Sorbonne (France), Vice-President of the „Association pour le developpement des données sur l’Economie sociale“ (ADDES) and board-member or member of scinetific committees of several associations and foundations. She has a life-long record in researching the third sector in France and in comparative perspective. Edith Archambault graduated from Paris-Sorbonne University in economics, sociology and political science. She obtained her doctor in economics in 1971. Her academic career took place at the University Paris1 Panthéon-Sorbonne from 1967 till 2004, except a few years as professor at the University of Poitiers (1985-1990). She chaired the Laboratory of Social economy (1991- 1999) and was the Dean of the Department of economics (1994-1997). Her research fields are national accounting, social economy and the nonprofit sector, more especially associations and volunteering. She was the first vice-president of the International Society for Third Sector Research (ISTR) (1995-1997) and member of the Council of International Association for Research in Income and Wealth (1996-2002). She was local associate for France of the Johns Hopkins International Comparison of the Nonprofit Sector program, phase 1 and 2 (1990-2002), then member of the advisory committee for the UN Handbook of the non-profit Institutions in the system of national accounting (1999-2001) and the ILO Manual on the measurement of volunteering(2008-2011). She sat in CNVA, the main umbrella of nonprofits (1999-2010) and chaired a workgroup ” Knowledge of the Nonprofits” for the National Council of the Statistical Information (CNIS) in 2010. She is author of more than 250 publications and officer in the orders of the Légion d’Honneur and the Merit. In December 2008, ILO recommended to add to the Labour Force Survey a brief questionnaire in order to measure volunteer work. The paper analyses firstly the methodological weaknesses of the existing surveys in France and some Anglo-saxon countries, to show that a standardisation is necessary. Then it analyses the ILO questionnaire and suggests ways of implementation. Finally, relying on a recent organisation survey (Tchernonog 2007), it gives the monetary value of volunteering in France, according to five alternative shadow wages. In the introduction, we briefly compare Europe’s third sector features to the North American ones. In a first part, the European third sector is broken up into five clusters: Continental, Anglo-saxon, Nordic, Mediterranean and Oriental. Then the paper asks if these clusters converge (dissemination of the best practices, bottom-up trend ) or not. Other publications post 2009 can be found here.